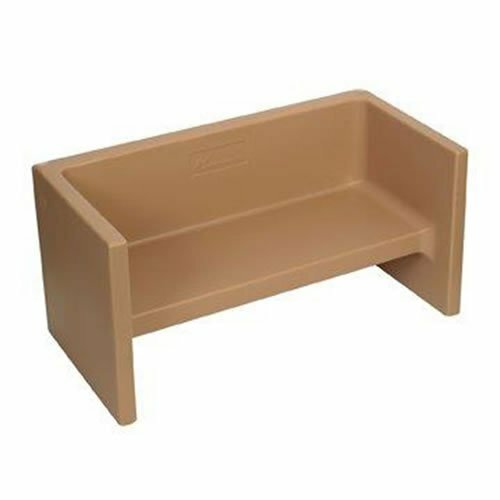 Adapta-bench - almond. Use our indoor/outdoor molded polyethylene adapta-bench as a rectangular play table, two-seat sofa, or as a bench for adult seating. 30.5 in. L x 15.13 in. W x 15.25 in. H (13.9 lbs).